Lots of tiny pink sparks fly through the night air in this fireworks video loop with an abstract feel to it. Perfect for NYE celebrations. This unique video loops works great in all kinds of productions, woo your audience by using this video. 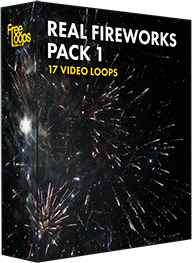 This video loop is part of Real Fireworks Pack 1.